The 15-meter sloop Win­ston Churchill is one of sev­er­al Churchill name­sake ves­sels to have car­ried an hero­ic crew. 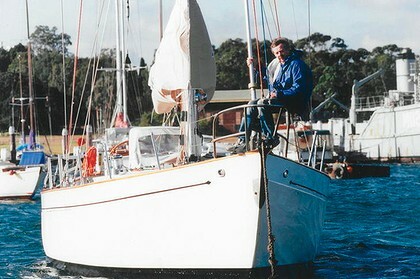 The ven­er­a­ble sail­boat, the old­est ves­sel named for Sir Win­ston, sank dur­ing the chal­leng­ing Syd­ney to Hobart Yacht Race in 1998, and three of her crew, James Lawler, Michael Ban­nis­ter and John Dean, drowned. The hero­ism of her crew match­es that of the USS Win­ston S. Churchill, the most famous bear­er of the name afloat.